Building Skills for the TOEFL iBT is the first step in a graded test preparation course designed to hone the test-taking skills required of students who will take the iBT TOEFL administered by ETS. In addition to familiarizing students with innovative question types found on the iBT TOEFL, this course provides tips and strategies for each of the four skill-based test sections: reading, listening, speaking, and writing. 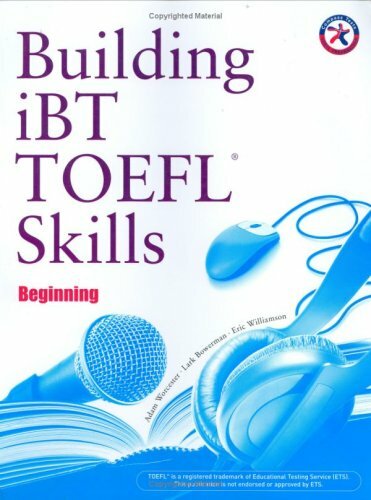 Building Skills for the TOEFL iBT is available in a combined edition with all four skills incorporated or by split editions (Reading, Listening, Speaking, Writing). to get my own website now. Really the blogging is spreading its wings quickly.